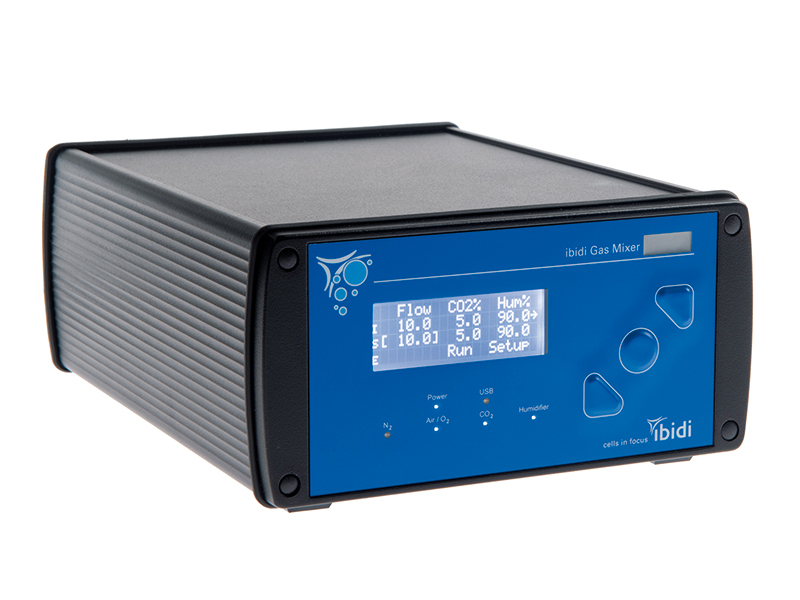 The ibidi Gas Incubation System provides both humid and CO2-rich air for stage-top incubators like the ibidi Heating System. 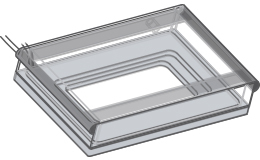 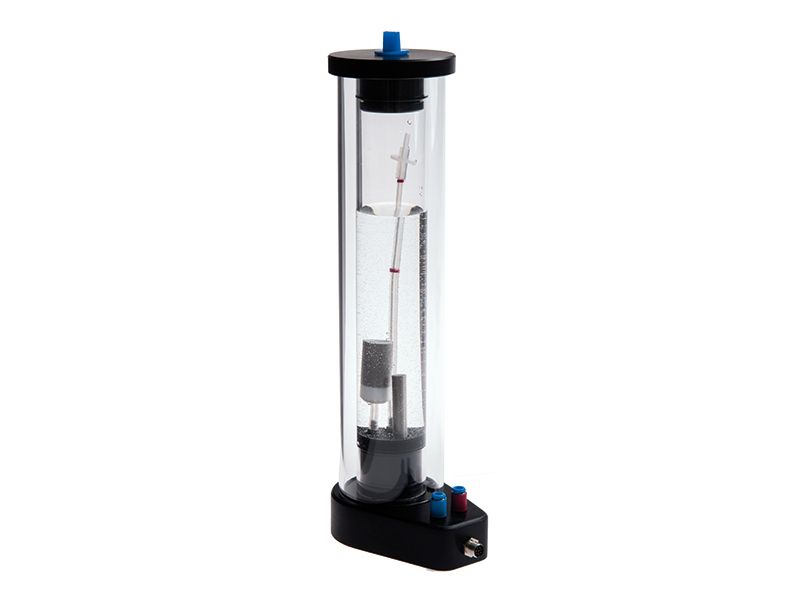 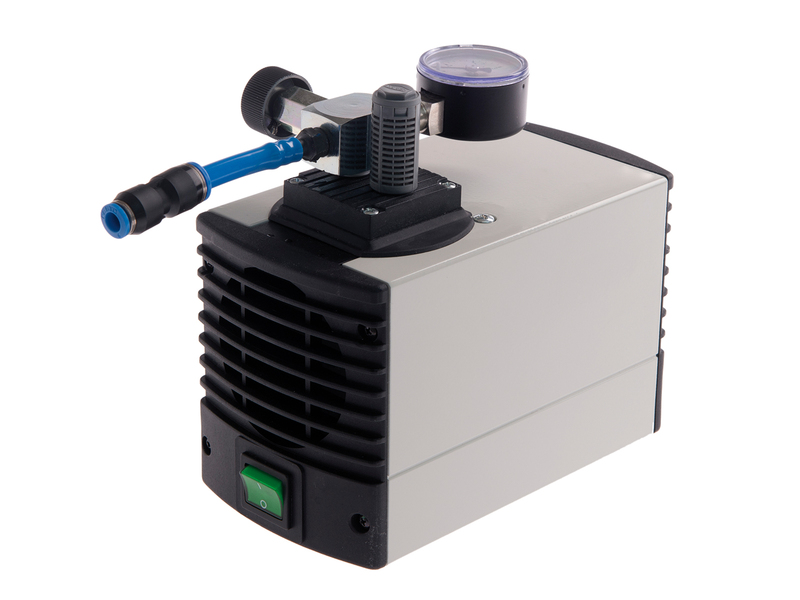 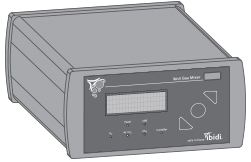 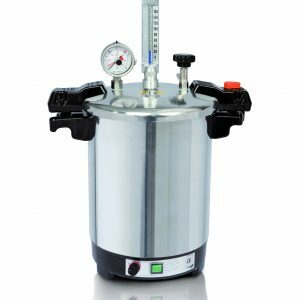 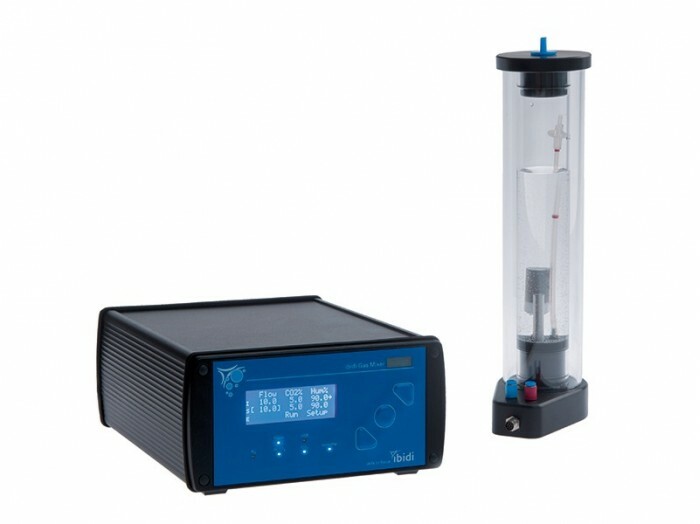 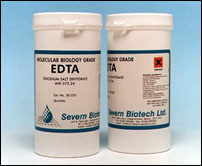 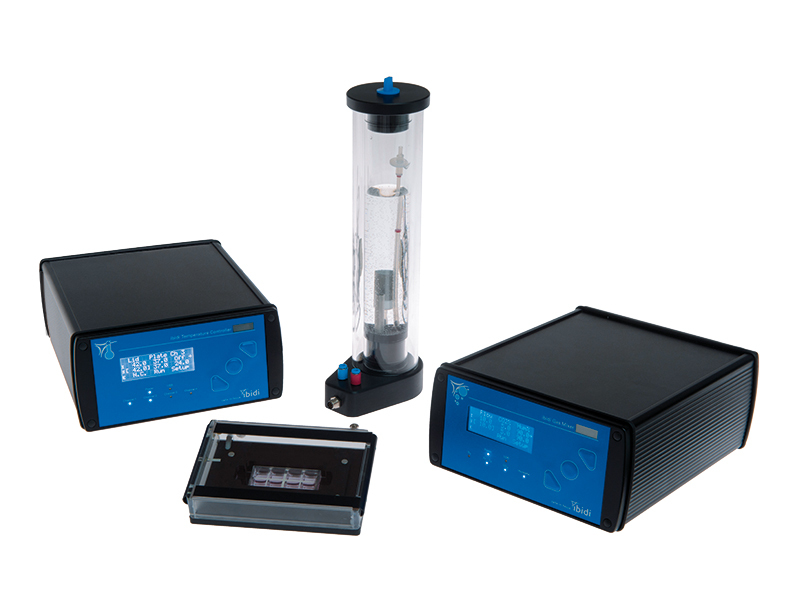 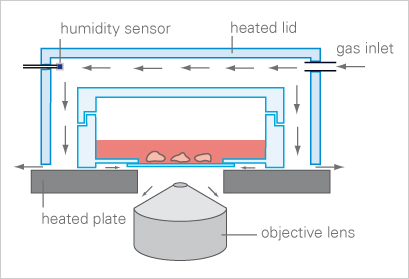 The gas mixture is continuously flushed through the stage top incubator, ensuring a maximum humidity and an optimal pH for CO2-buffered liquids. 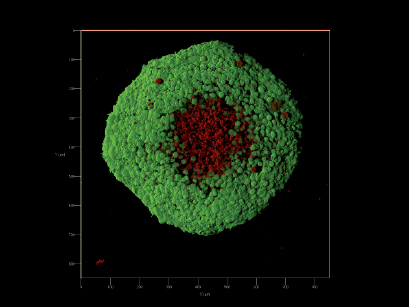 Spheroid of breast cancer cells with living cells (green) and apoptotic center (red) due to oxygen depletion. 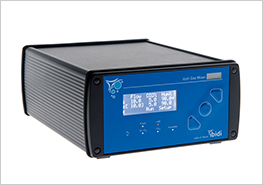 The ibidi Gas Incubation System upgrades your ibidi Heating System to a complete stage top incubator.